MILWAUKEE, July 30, 2018 /PRNewswire/ -- To inspire even more people around the world to experience the exhilaration of riding a motorcycle, Harley-Davidson today shared details of its "More Roads to Harley-Davidson" growth plan through 2022. Harley-Davidson's first Adventure Touring motorcycle, the Harley-Davidson(tm) Pan America(tm) 1250 is planned to launch in 2020. 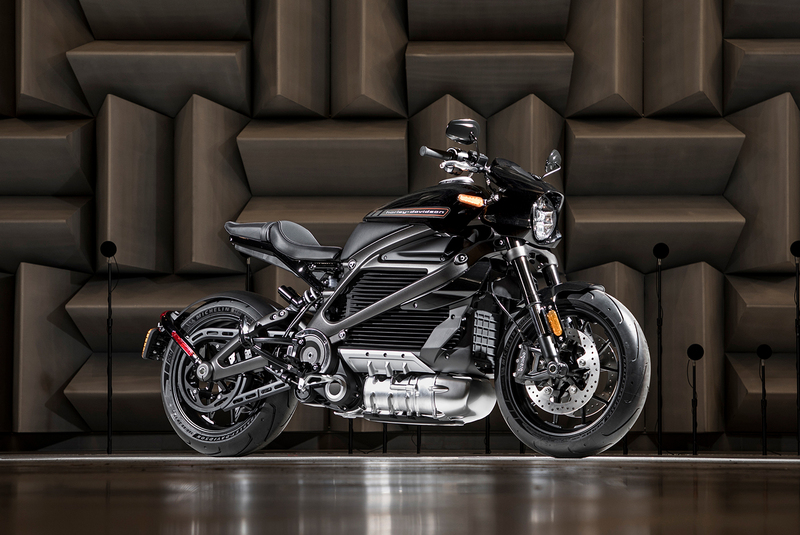 Harley-Davidson's electric motorcycle, LiveWire(tm) -- the first in a broad, no-clutch "twist and go" portfolio of electric two-wheelers designed to establish the company as the leader in the electrification of the sport - is planned to launch in 2019. 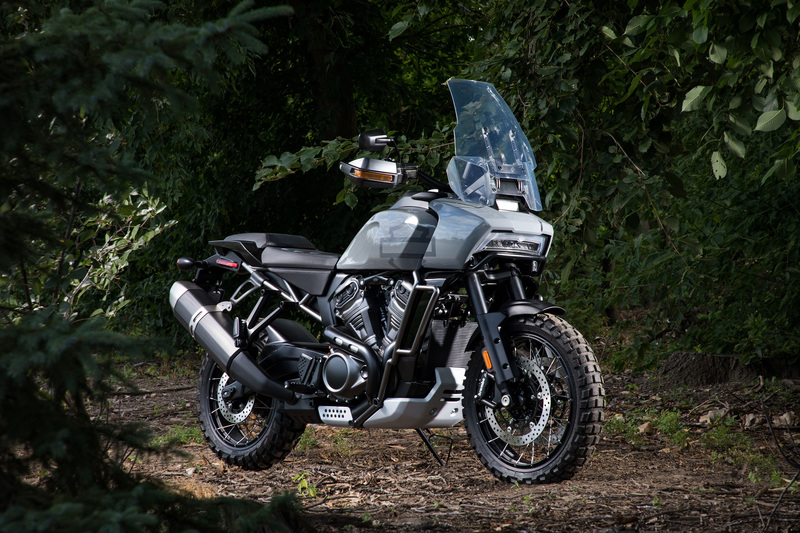 This 975cc Streetfighter model is part of Harley-Davidson's new modular 500cc to 1250cc middleweight platform of motorcycles, which is planned to launch in 2020. 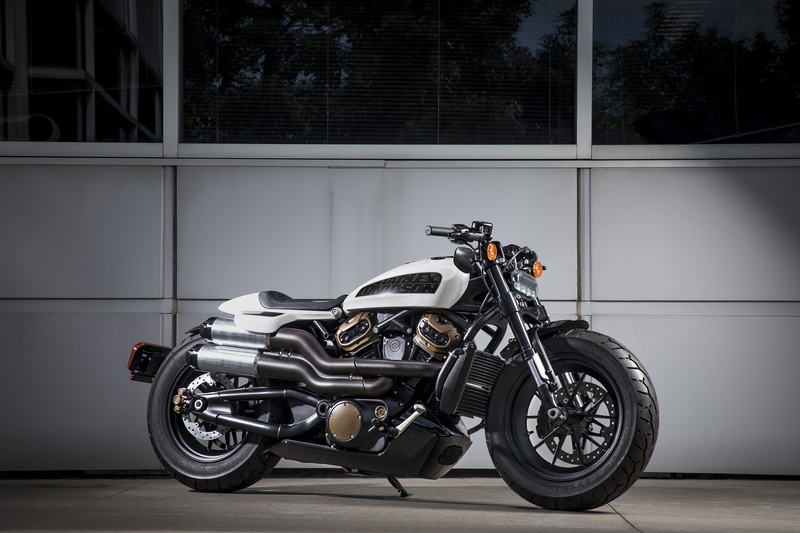 Harley-Davidson's all-new custom motorcycle with a muscular stance, aggressive, stripped down styling and 1250cc of pure performance, is planned to be released in 2021. In a fast-changing world with new consumer demands, these accelerated actions support Harley-Davidson's 2027 objectives with increased focus and strategic investment to reinvigorate the U.S. business while accelerating the pace of international growth. "The bold actions we are announcing today leverage Harley-Davidson's vast capabilities and competitive firepower – our excellence in product development and manufacturing, the global appeal of the brand and of course, our great dealer network," said Matt Levatich, president and chief executive officer, Harley-Davidson, Inc. "Alongside our existing loyal riders, we will lead the next revolution of two-wheeled freedom to inspire future riders who have yet to even think about the thrill of riding." "We expect this plan will result in an engaged, expanded Harley-Davidson community with a more diverse rider base, along with industry-leading margins and cash flow," said Levatich. 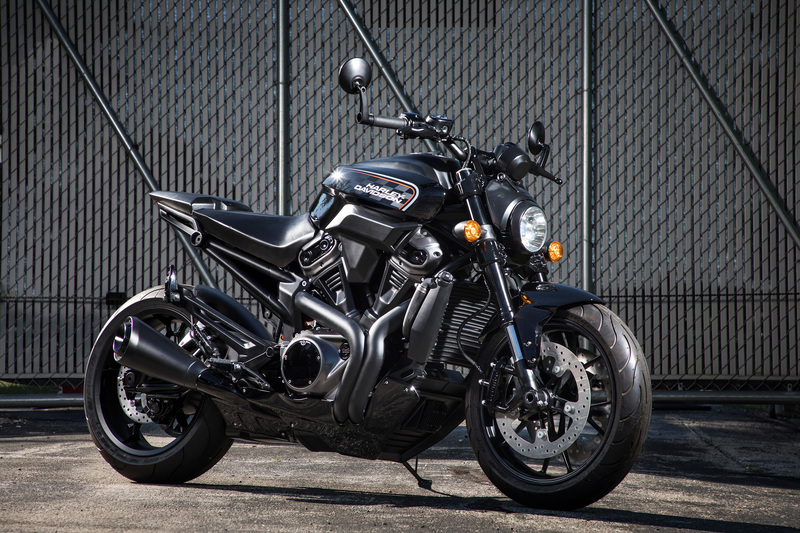 Extending the company's leadership in heavyweight motorcycles by continuing to develop improved, more technologically-advanced Touring and Cruiser motorcycles that will keep existing Harley-Davidson riders engaged and riding longer. Introducing a new modular 500cc to 1250cc middleweight platform of motorcycles that spans three distinct product spaces and four displacements, starting with the company's first Adventure Touring motorcycle, the Harley-Davidson™ Pan America™ 1250, a 1250cc Custom model and a 975cc Streetfighter model, all of which are planned to launch beginning in 2020. Additional models to broaden coverage in these product spaces will follow through 2022. Developing a more accessible, small-displacement (250cc to 500cc) motorcycle for Asia emerging markets through a planned strategic alliance with a manufacturer in Asia. This new product and broader distribution is intended to fuel Harley-Davidson's customer access and growth in India, one of the largest, fastest growing markets in the world, and other Asia markets. Leading the electric motorcycle market by launching Harley-Davidson's first electric motorcycle, LiveWire™, in 2019 -- the first in a broad, no-clutch "twist and go" portfolio of electric two-wheelers designed to establish the company as the leader in the electrification of the sport. LiveWire will be followed by additional models through 2022 to broaden the portfolio with lighter, smaller and even more accessible product options to inspire new riders with new ways to ride. Creating high-engagement customer experiences across all retail channels – including improving and expanding the company's global digital capabilities by evolving the Harley-Davidson.com experience to integrate with and enhance the dealership retail experience for existing and new customers. Harley-Davidson's world-class dealer network is an integral part of the company's accelerated strategy and critical to overall success. The company will implement a performance framework to significantly enhance the strength of the dealer network and the customer experience, enabling the best-performing and most entrepreneurial dealers to drive innovation and success for themselves and Harley-Davidson -- while providing the premium customer experience the brand is known for across an increasingly diverse product and customer base. "Harley-Davidson is iconic because we've never been static," said Levatich. "In moving forward, we are tapping into the spirit that drove our founders back in 1903 and every one of the employees and dealers who rose to the challenges faced along the way. Our plan will redefine existing boundaries of our brand – reaching more customers in a way that reinforces all we stand for as a brand and as a company and we can't wait to kick it into gear." 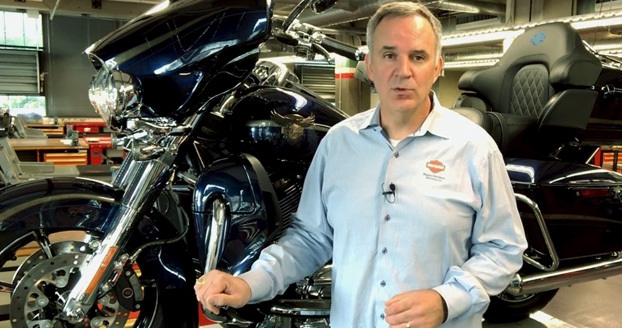 Watch a video highlighting key elements of Harley-Davidson's More Roads to Harley-Davidson plan here. Harley-Davidson's funding principles will focus on stabilizing and strengthening the existing business, enhancing the premium brand, and investments in profitable, growth-oriented projects. We expect these principles, along with a disciplined capital allocation focus, will allow Harley-Davidson to execute with improved cost competitiveness and overhead efficiencies. Additional information can be accessed at H-D.com/acceleratedstrategy. Harley-Davidson will host a question and answer session for analysts focusing on the More Roads to Harley-Davidson plan via webcast at 12:30 p.m. CT Monday, July 30, 2018 (http://investor.harley-davidson.com/news-and-events/events-and-presentations).The audio replay of the analyst Q&A will be available by approximately 3:00 p.m. CT. The company intends that all of the matters discussed in this press release are "forward-looking statements" intended to qualify for the safe harbor from liability established by the Private Securities Litigation Reform Act of 1995. 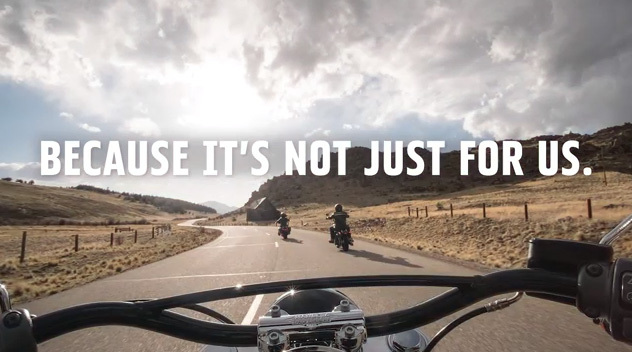 The statements in this press release are all forward-looking statements that relate to the company's More Roads to Harley-Davidson plan, including without limitation the company's plans, its objectives and expectations, the future financial and other results it seeks to attain, the new product introductions it contemplates, and its views of market opportunities and benefits. These forward-looking statements are subject to certain risks and uncertainties that are likely to cause actual results to differ materially, unfavorably or favorably, from those anticipated as of the date of this press release. Certain of such risks and uncertainties are described below, and others are listed in the company's July 24, 2018 earnings press release. Shareholders, potential investors, and other readers should consider these factors in evaluating, and not place undue reliance on, the forward-looking statements. The forward-looking statements in this press release are made as of the date of this press release, and the company disclaims any obligation to update such forward-looking statements to reflect subsequent events or circumstances. The statements in this press release relate to the company's More Roads to Harley-Davidson plan and generally represent only the company's goals, aims and objectives regarding the plan and potential results from the plan.